Perpetual Treasuries Private Limited, which just last year recorded of profit of over Rs. 5 billion has said that it faces the risk of going bankrupt. The claim was made, when it filed a writ application in the Court of Appeal seeking an order restraining Central Bank against a decision taken to curtail operations of the company on the orders of the Monetary Board. Perpetual Treasuries has cited the Central Bank of Sri Lanka, including its Governor Dr. Indrajit Coomaraswamy, and the Monetary Board as respondents in the petition. The petition is scheduled to be taken up by the Court of Appeal on February 20. Last week, Coomaraswamy instructed Inspector General of Police to conduct an investigation into Perpetual Treasuries, the primary dealer of the Central Bank. 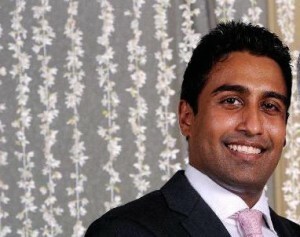 The Monetary Board also decided to curtail operations of the company, which has direct links to ex-Central Bank Governor Arjuna Mahendran’s son in law Arjun Aloysius. Apart from the request to the police to probe the primary dealer, the Central Bank is also carrying out internal inquiries against Perpetual Treasuries. Perpetual Treasuries which has been accused of having a direct link to the Central Bank Treasury bond scam, recorded a profit of Rs. 5.1 billion for the year ending March 2016, which was 430 percent increase in profits in comparison to the previous year.